Emerging from the woods, you surprise the bandits, ready to collect the bounty upon each head. 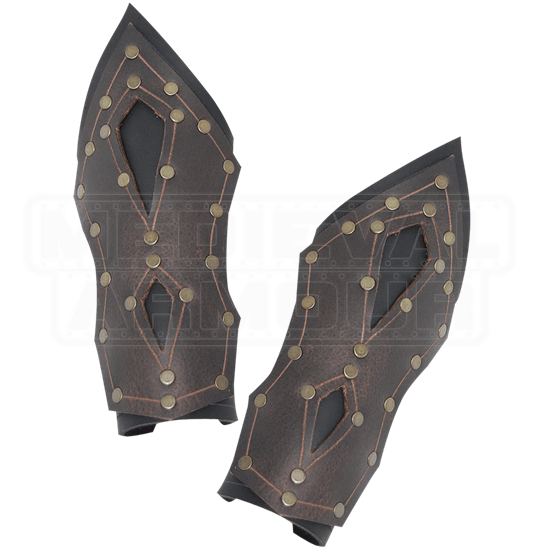 With the Mercenary Leather Bracers safely shielding forearms, you deflect a counterattack, relying on skill to capture them one by one. The double-layer arm-guards protect your upper limbs, safely encasing them in genuine leather. The rivets and flared edging supports both defense and style. 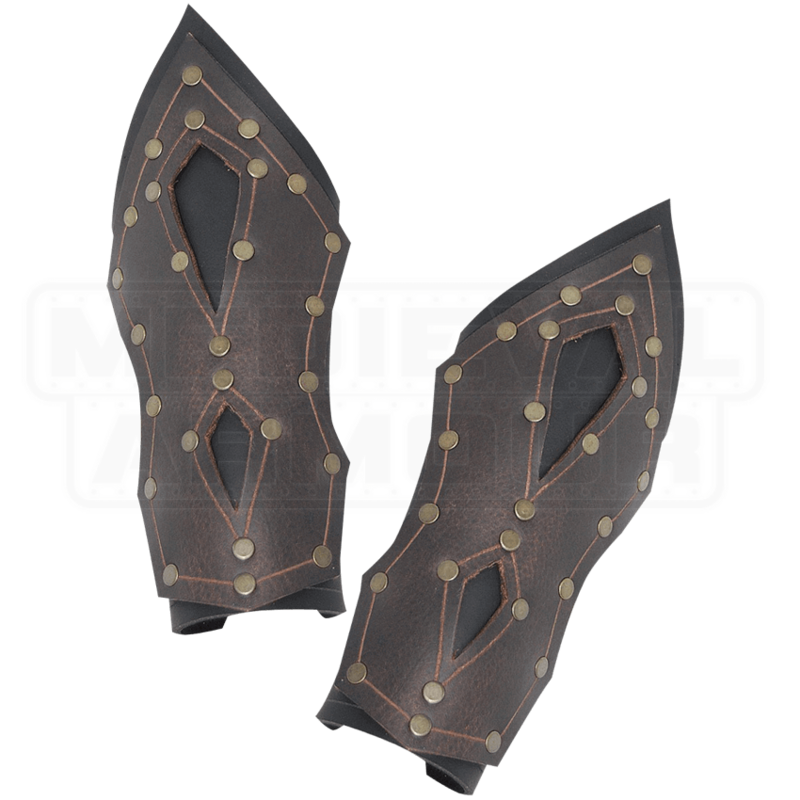 Nickle plated -antique brass for the brown- eyelets line the inner side of each bracer. The included leather lacing threads through the eyelets, allowing you to adjust the bracers to a perfect fit. With these fetching bracers, you may enter your next LARP quest with confidence.